Pictured left to right are Nicolette Eicholtz, Dr. Dennis Ryan (advisor for Arboriculture & Urban Forestry), and Shayne Bradford. 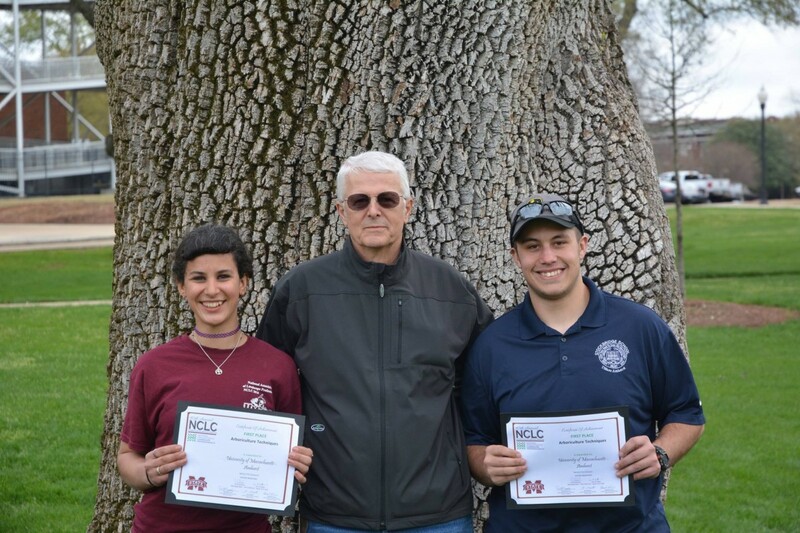 Arboriculture & Urban Forestry students Nicolette Eicholtz and Shayne Bradford took first place at the National Collegiate Landscape Competition, beating competitors from 63 other colleges and universities by a wide margin. This is the fourth year in a row that UMass Arboriculture students have won the competition, the most prestigious in the country.